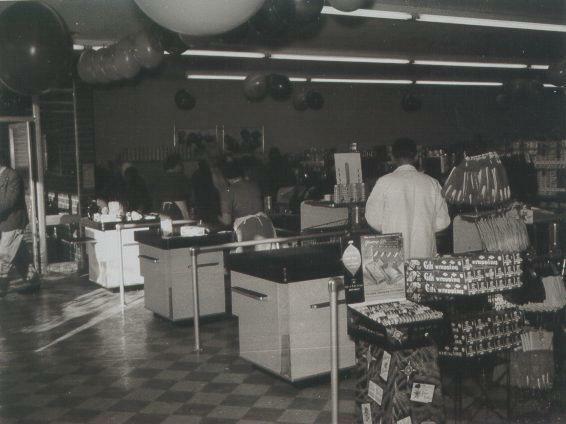 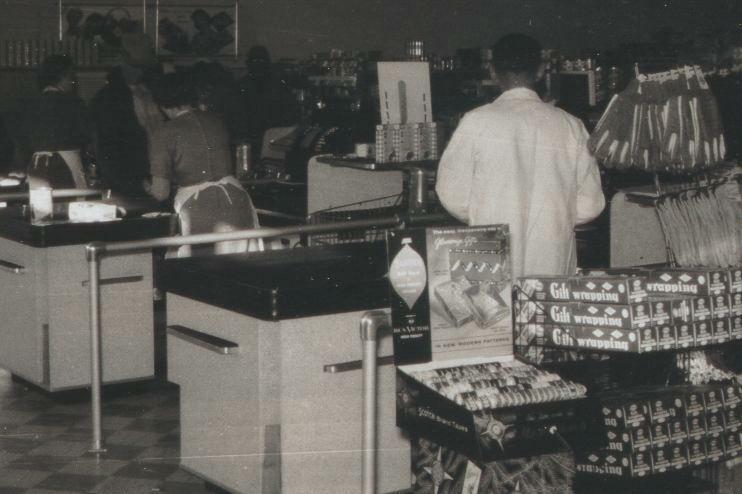 All 3 Checkouts were busy on this day at the Leroy IGA(1959-60 era).The man with his back to the camera is Billy Joe Poindexter. . ..